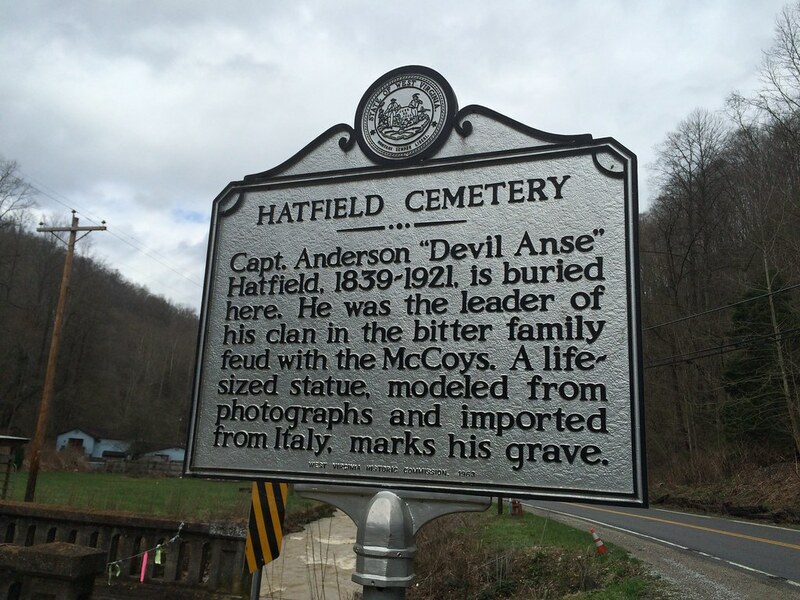 As part of my effort to complete adventures from the 55 things to do in the Mountain State list, I convinced Tom to accompany me to southern West Virginia to see the Coal House in Williamson and check out the grave of Devil 'Anse' Hatfield, as well as stop in Matewan and try the Tunnel Drive-In. It was a first me to travel through Lincoln, Logan, Boone and Mingo. Woo! 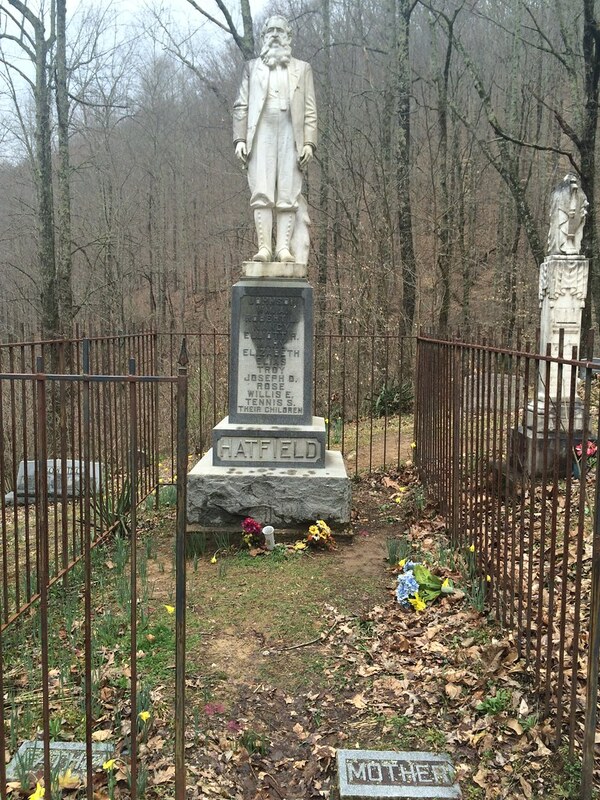 1) The Devil Anse Hatfield grave is in the middle of nowhere, but we found it without too much trouble. I realize how tough it is to not rely on my phone in an area where I have no idea where I'm going. I'm actually surprised I didn't get more lost. We climbed a hill to see that guy right over there ----------------> and nearly died on the muddy hill, but it was worth it to see this near-life-size statue of Hatfield. Fun fact, my friend BJ is a relative. 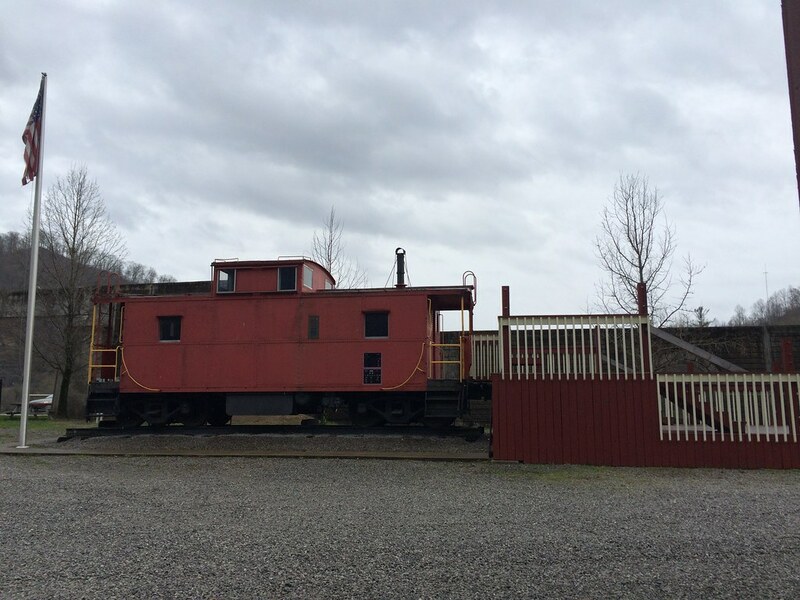 2) The Coal House is pretty cool. 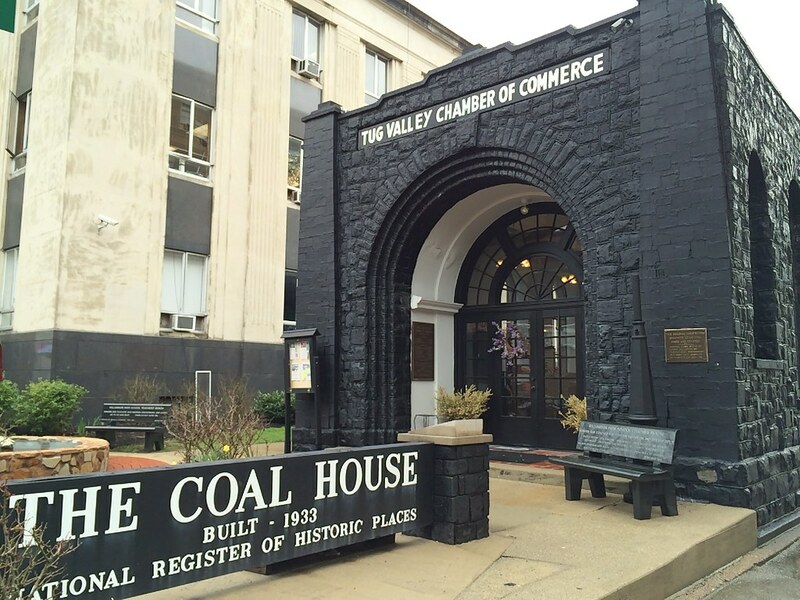 It's, well, a house made out of coal and is also home to the Tug Valley Chamber of Commerce. Inside, I bought a coal pig. The whole Hatfield/McCoy thing is a huge thing in this area of the state, so I figured a pig would be fitting considering it is rumored that a stolen pig is what helped start the war between the families. 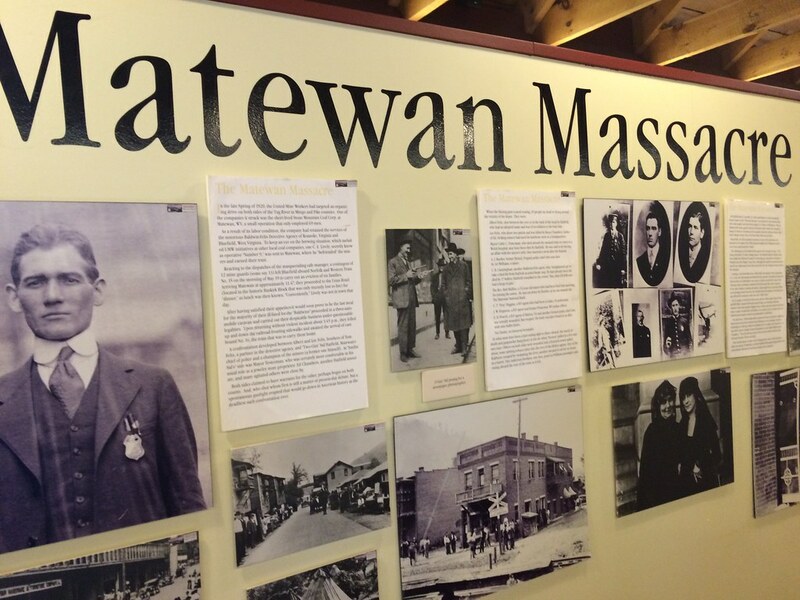 3) Matewan, of Matewan Massacre fame, had a nice little area devoted to the history of the massacre, as well as more Hatfield/McCoy stuff. 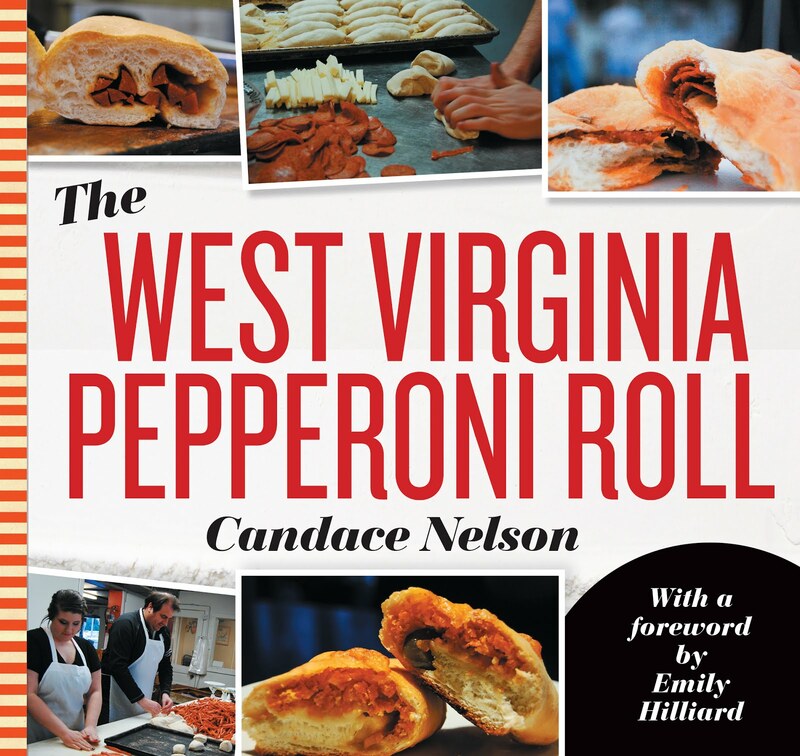 I bought the book on Matewan there, because it seemed fitting. 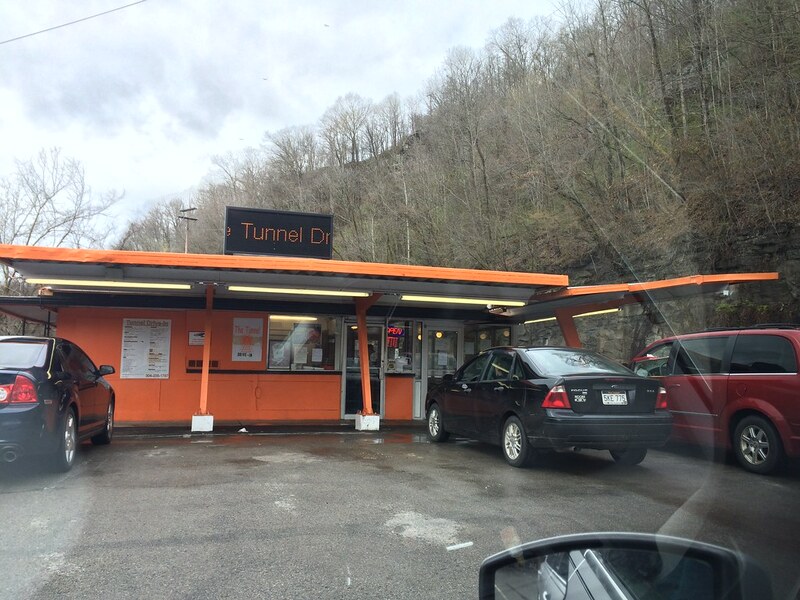 The Tunnel Drive-In is one of the few drive-ins left in the state. 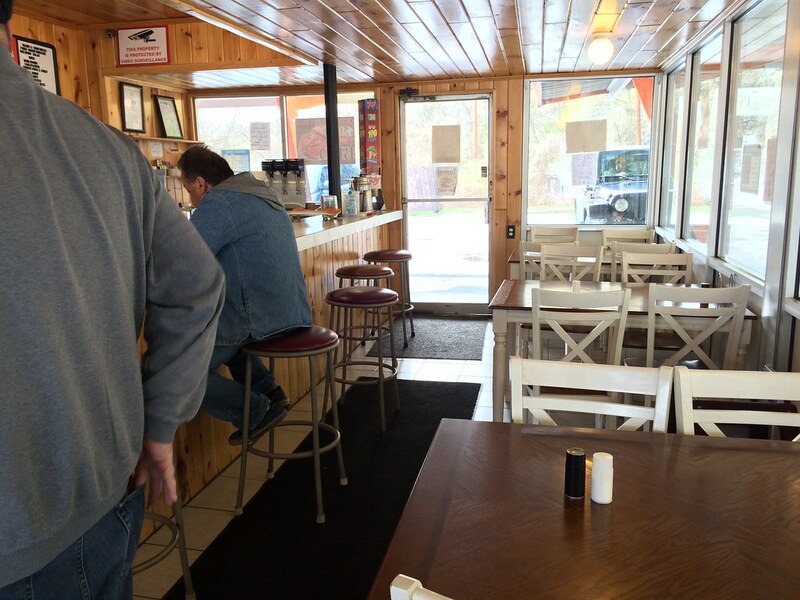 It's located in Williamson, and it took me a few tries to find this place. The address has it listed on the road down below (so I thought), but I happened to look past the road and saw it, thankfully. 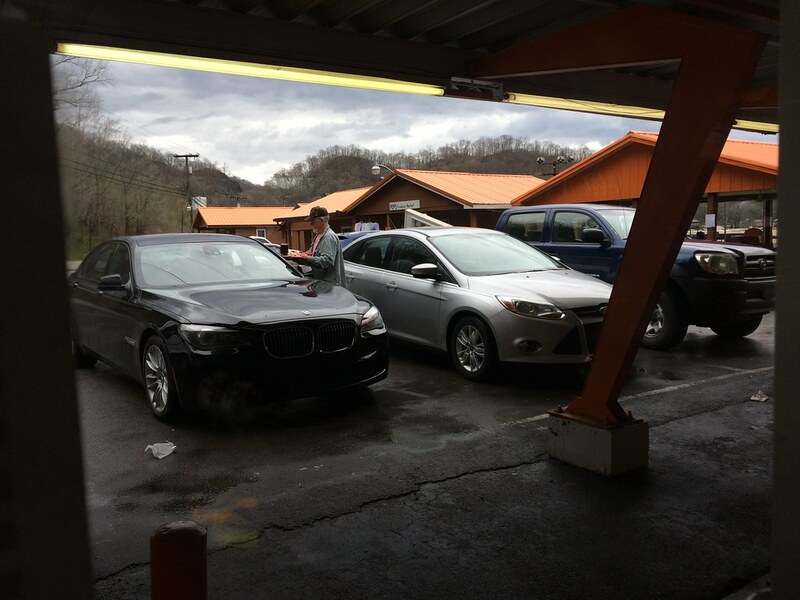 As soon as I pulled up, my car was beside none other than Don Blankenship himself sitting in his Beemer eating some drive-in food. I was a little shocked. 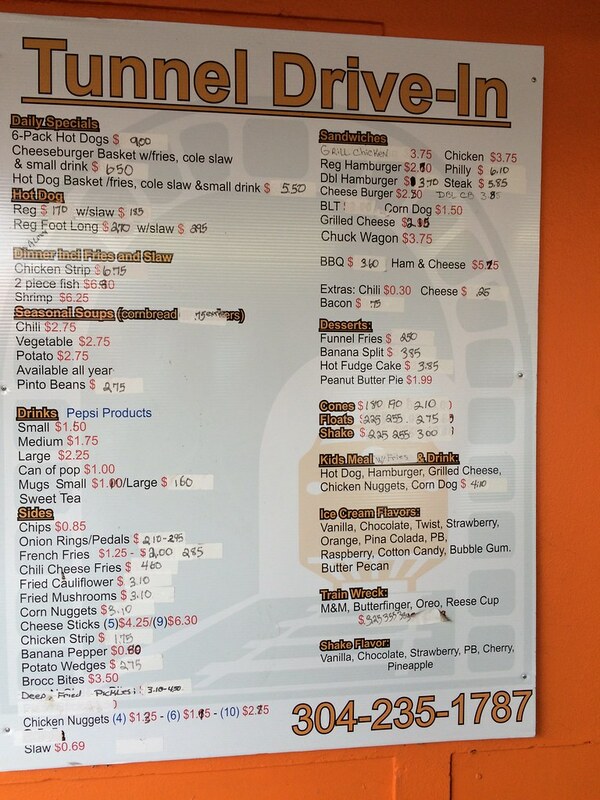 After some awkwardness about omfg, that's Don Blankenship in the car beside me, we figured out what we wanted from the menu and went inside to order. After being in my car for hours upon hours, I didn't want to sit in there to eat, too. 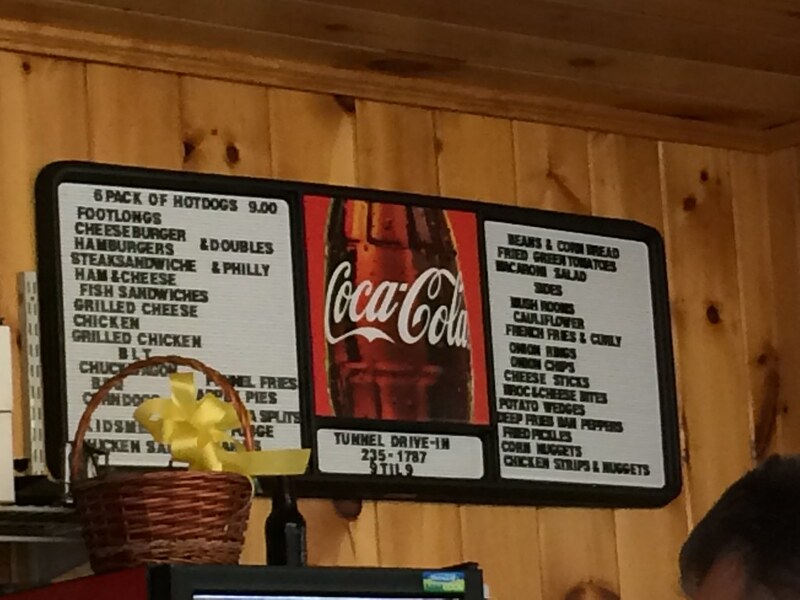 I wanted to order the Tunnel burger, considering the namesake, but they were out. I found out it is a 1 lb. burger, so I'm glad they were out. Somehow, they weren't out of regular sized burgers, so I ordered one of those instead with a side of fried mushrooms. And a strawberry milkshake. My burger was not bad - the burger was kind of dwarfed by the size of the bun and a giant piece of tomato. It was definitely well done, bordering on crispy, but a slice of cheese masks some of that. But a burger is a burger. It's still good because you can't mess up a cheeseburger too terribly bad. The mushrooms were aplenty, and the ranch dip wasn't a bad touch. I don't know if I've ever dipped mushrooms in ranch? It worked, but I kind of liked them all on their own. The perfect touch was a strawberry shake. I can't tell you the last time I had one, but it was so delicious. 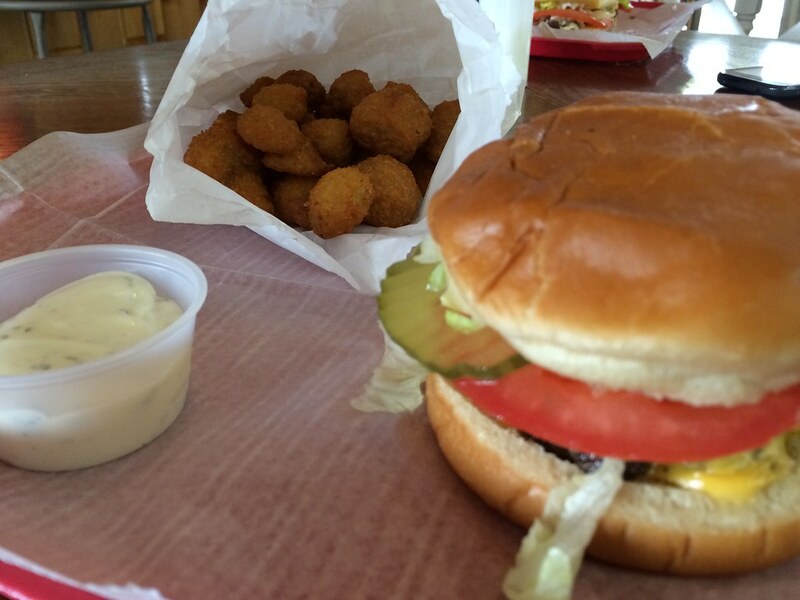 What goes better with a burger and a side of fried food than a smooth, sweet shake? Nothing, I tell you. Nothing.